This month’s guest blog is courtesy of Isaac Murphy, a Centre Assistant at Plas y Brenin – the National Mountain Sports Centre – based in Snowdonia, Wales, with a centre in Alltshellach, Scotland. While the post-Christmas period can be typically viewed a dour time, characterised by dark days, cold nights and a general lack of enthusiasm, here at Plas y Brenin this could not be further from the truth. In the month of January the preparation for our winter program really picks up speed. The Centre is a hive of activity; instructors keenly monitor weather forecasts, discuss the snow pack and plan their adventures. The admin team is awash with bookings as clients scramble to gain a place on the array of courses offered on the winter program. The maintenance team are frantically preparing the various vehicles required to make the long journey north. And for me, as a member of the equipment stores team heading up to Scotland, I have rarely been busier. In order to maintain the exceptionally high standards that have become the norm for Plas y Brenin, the winter program requires a monumental effort by the stores team. 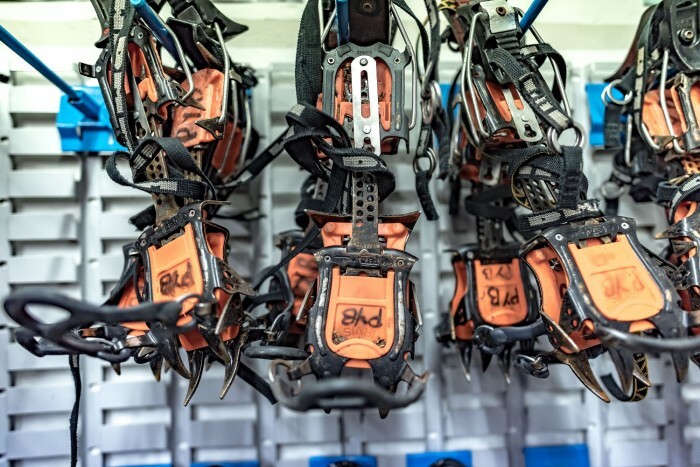 Axes must be sharpened, crampons checked, ropes coiled and ice screws oiled. Each item is checked, double-checked and then finally packed away ready to be transported to our base in Alltshellach. Although at times the box ticking and searching for crucial equipment can be taxing, the satisfaction derived from facilitating a positive client experience is without comparison. After all, being part of the stores team is more than just handing out equipment; without sounding like a cliché it’s about giving clients the opportunity to have a real adventure. Being on the other side of the counter you have the unique opportunity to offer advice and engage with people on a different level. 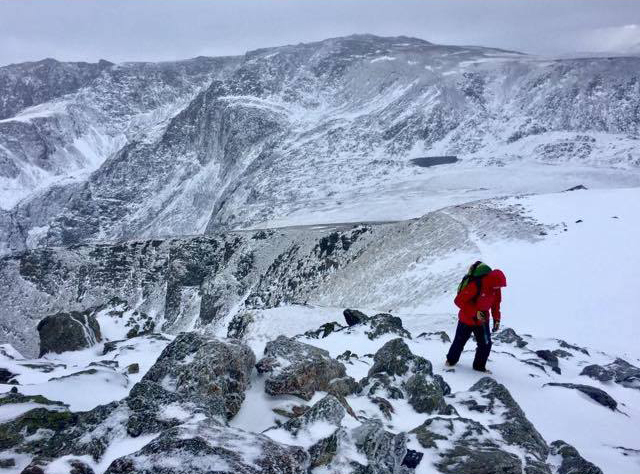 Often individuals undertaking their first winter experiences are uncertain about what equipment to choose and whether the equipment they have is up to scratch. Being able to guide them through this, offering an informed opinion and supply the extras is rewarding for both parties. The client feels secure in the knowledge they are prepared and you can take solace in the fact that you have made someone’s day that bit better. 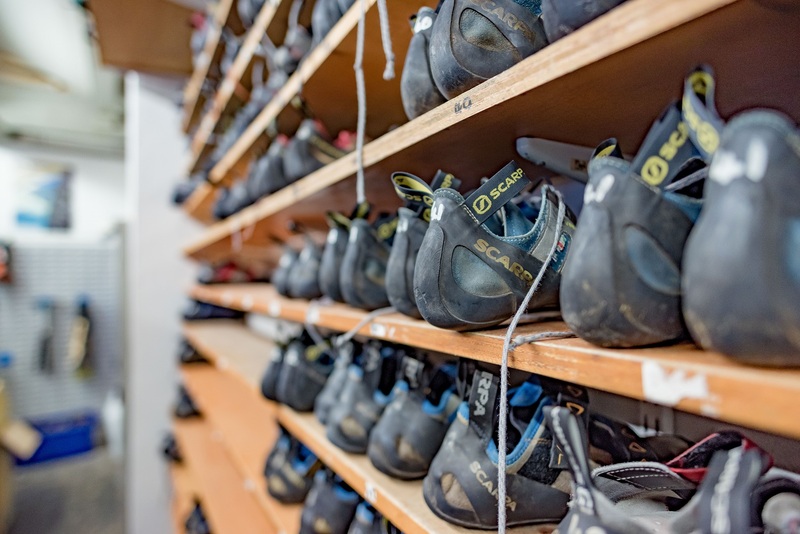 This expert knowledge is something Plas y Brenin employees pride themselves on; each and every member has a plethora of personal experience, enabling them to give an honest and informed evaluation of even the most niche equipment. 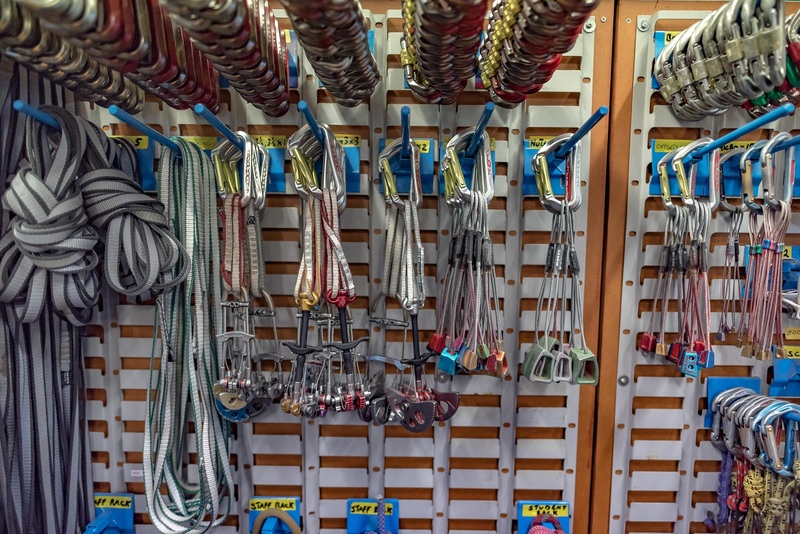 Whether an individual is unsure of the virtues of the latest belay jacket, or if their axe is technical enough for their day’s endeavours, the stores team are always more than happy to help, especially as more often than not, they have been in a similar position themselves. Although the willingness to share these little hints and tips are such a natural part of the Plas y Brenin mentality, their value cannot be ignored as it is the combination of these small acts which makes our courses so special. Our role interacting with clients extends beyond simply handing out equipment and checking they’re adequately prepared. By its very definition winter mountaineering is intimidating – something that extends to even the most experienced mountaineer. Therefore it is not uncommon for clients to express uncertainty or have doubt in their ability: whether it is personal fitness or technical skills, working in stores offers a unique chance to guide them through these doubts. Where an individual may feel embarrassed about voicing a concern or admitting they have misplaced a vital piece of equipment to their instructor, the relaxed and personal atmosphere engrained in us makes it easy to break down these barriers. Our team provides a comfortable atmosphere in which clients feel able to confide. Although completely natural, frequently concerns are unfounded, and most problems are easily fixed. A few kind words, an extra pair of gloves, or some inside knowledge from personal experience can really make the difference. The personal nature of the job also creates the opportunity to get to know the clients on an informal level. Having chatted to them in the morning it is not unusual for someone to come back later that evening to ask more questions. The topic of discussions can really vary, one day might see you answering a question on nutrition or how best to train for Scottish winters, while the next is how to get involved in a local club or how to maintain a vital piece of equipment. Regardless of the topic the conversations are always approached passionately. As outdoor enthusiasts we are always keen to share our diverse range of knowledge and personal skill, the breadth of which means that even the most obscure questions can often be answered as the team clubs together. Engaging with clients on this level is so fulfilling, often being equally as rewarding for both parties. Overall I can honestly say being part of Plas y Brenin’s winter program is one of the most rewarding aspects of the job – the challenge, variety and opportunity to positively contribute to a client’s day make it a thoroughly satisfying role.